Mix khova, maida and little soda with very little milk. Make in to a smooth dough. 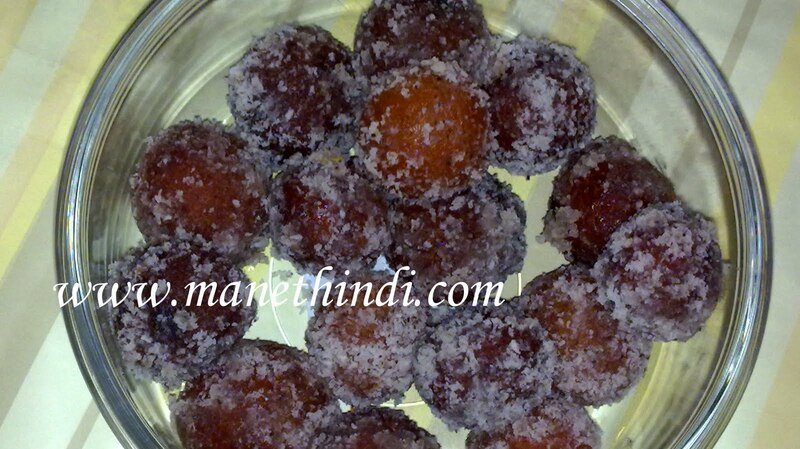 Heat ghee and deep fry the balls on a low flame till they turn red. Take the jamuns out and let them cool for 5-10mins. Then put them in the already prepared sugar syrup. Keep the Jamuns in the sugar syrup for around 1/2 hour . Remove the jamuns from the syrup . Now roll the jamuns on the dessicated coconut(dry copra) and store.